As you know, we announced the release of Ellen’s follow up film to “Finding Nemo” “FInding Dory” earlier this year but Sam actually came up with the concept four years ago. 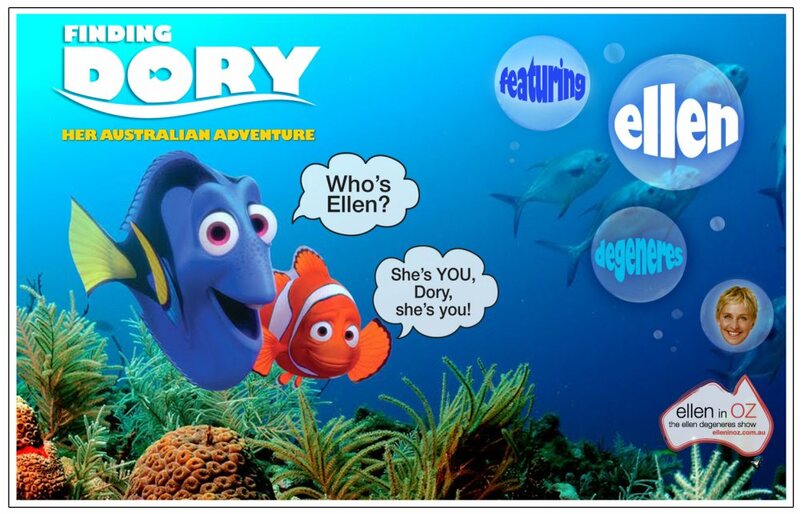 Well Disney Pixar and Ellen have finally caught up to us and have just announced the release of Finding Dory slated for release in 2015 with Ellen the star. Ellen made the announcement overnight at the first taping of her episode back in LA after her super fast trip week long trip Down Under. The second instalment is based on the lovable, but incredibly forgetful Blue Tang fish voiced by Ellen as Dory, and takes place about a year after the first film, and features returning favourites Marlin, Nemo and the Tank Gang, among others. Set in part along the California coastline, the story also welcomes a host of new characters, including a few who will prove to be a very important part of Dory’s life.